Last year environmental catastrophes and climate problems have come out on top in the lists of the leading news agencies of the world, heat waves and fires in Russia among them. However, little real action has been seen in the attempt to address the roots of the climate catastrophe. In March 2011 World Meteorological Organization will publish a report on the state of global climate in 2010. As for now, a few dangerous weather events of those that are listed in their preliminary report may be summarized here. Generally, “the year 2010 was record-breaking in terms of climate”. It is among the 3 warmest years since the beginning of instrumental observations (i.e. 1850). The decade of 2001-2010 is among the warmest ones as well. Extreme summer monsoons hit Asia. Pakistan survived the biggest flood in its history in July when rainfall during the four days contributed to 300mm precipitation. Over 1500 people dies and over 20 million displaced. Largest part of agricultural areas was destroyed. According to a UN report, people-wise this may be regarded as one of the greatest humanitarian catastrophes in the recent history. China suffered as well, and part of Korea was subject to the flood, too. The flood caused landslides causing even more deaths and injuries. Floods hit Central Europe, including Eastern Germany, Poland, Romania and Slovakia. Heat waves occurred in many regions of the world. Apart from Russia when an anomalously hot summer happened in the Western part of the country, other parts of Europe and northern Africa experienced the abnormal heat as well. Heat records were broken in China and Japan, as well as in Africa. Aside from the heat, extreme winters happened in the northern hemisphere – with freezing cold in Northern Europe and the US and warmer temperature in Canada. In Columbia the biggest flood in 30 years occurred in November. In Brazil the flood caused enormous environmental and social damages. Draughts in Amazon river basin as well as some parts of China, north-west India, Bangladesh, Vietnam and Thailand hit hard. The third summer ice minimum was recorded in the Arctic where the square area covered with ice was way lower its annual norm. This happened for the first time during the history of instrumental observations. As a follow-up to the last annual climate summit in Mexico, Christiana Figueres, the Executive Secretary of the UN Framework Convention on Climate Change (UNFCCC), recently made it clear that “Nations must follow up their successful UN Climate Change Conference in Cancún with higher global emission cuts and the rapid launch of new institutions and funds to show the world that a new era of international cooperation on climate change is an established fact”. Cancún was a big step, bigger than many imagined might be possible. But the time has come for all of us to exceed our own expectations because nothing less will do” she said. However, current obligations and voluntary action plans of the parties may only guarantee a 60% reduction on GHG emissions that a necessary to reach the 2 Degrees goal. All countries, especially the developed ones, must increase their efforts to reduce their emissions and do it very fast. And really fast action is required. 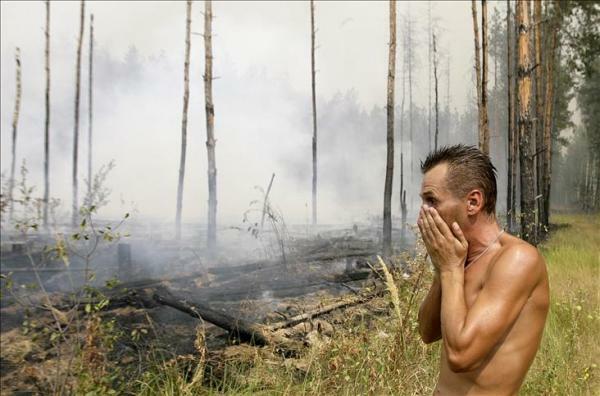 Heat waves and forest fires in Russia were a vivid example of how climate changes may lead to a social disturbance, and the need for action is urgent and obvious. In this case, Figueres’ appeal may be directly addressed to the Russian Government as well as political and public organizations and entrepreneurs in Russia.